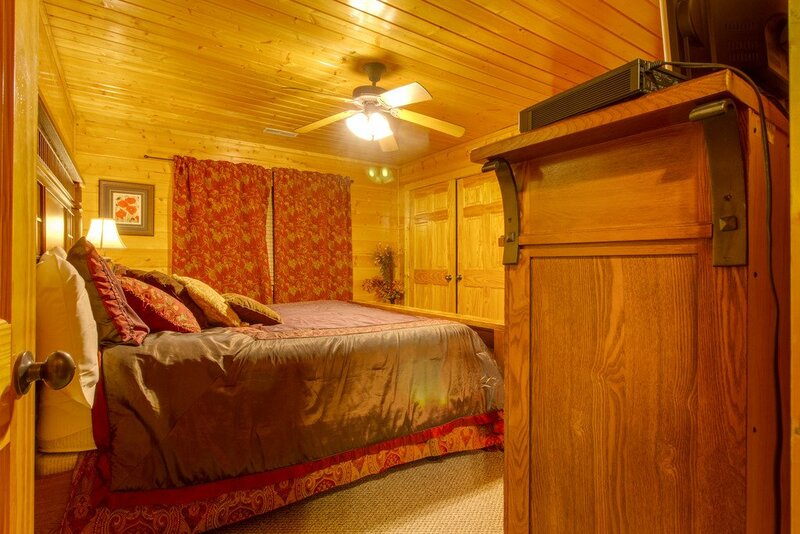 Southern Charm will have you returning again and again. 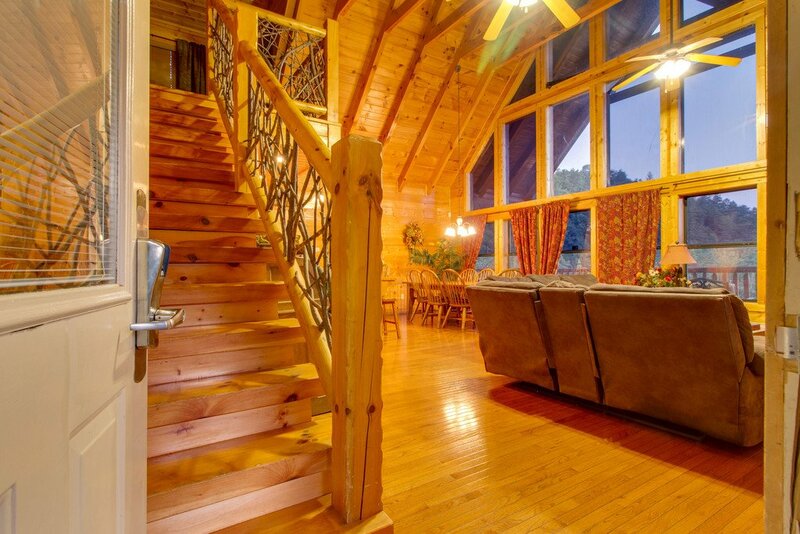 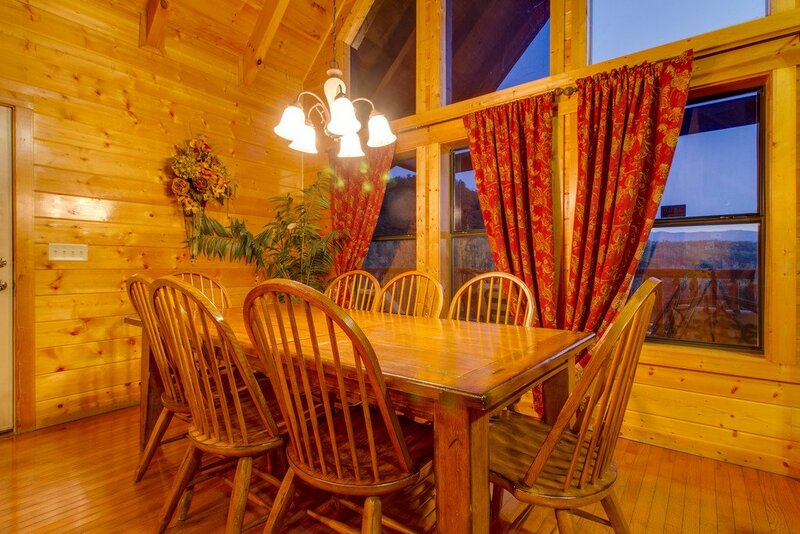 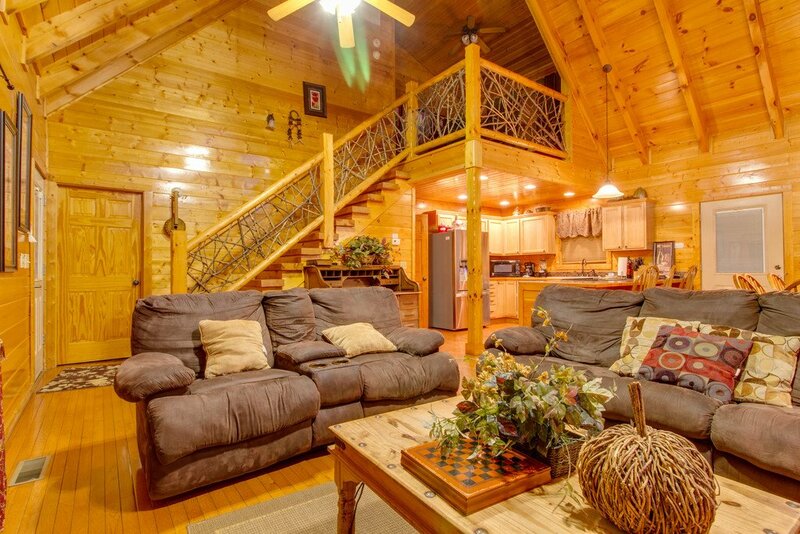 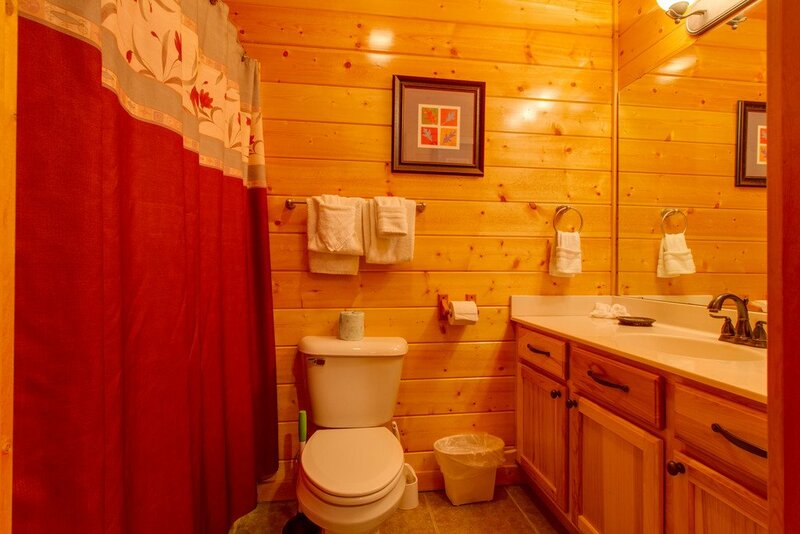 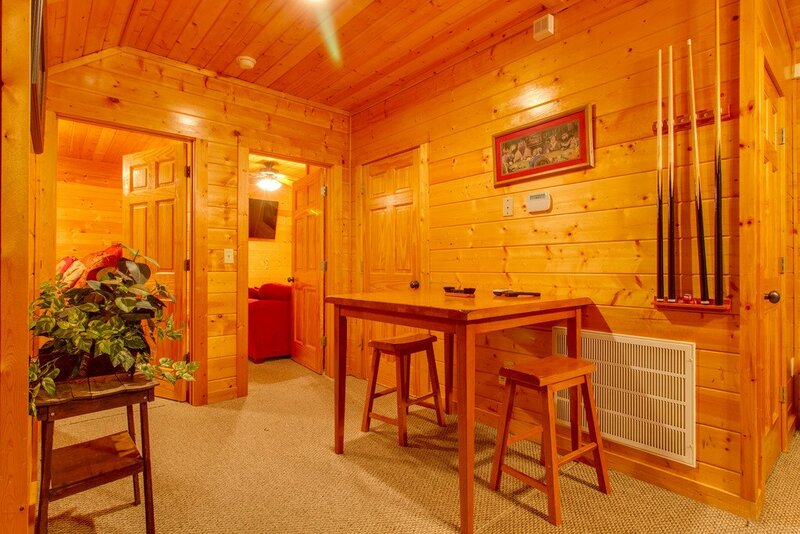 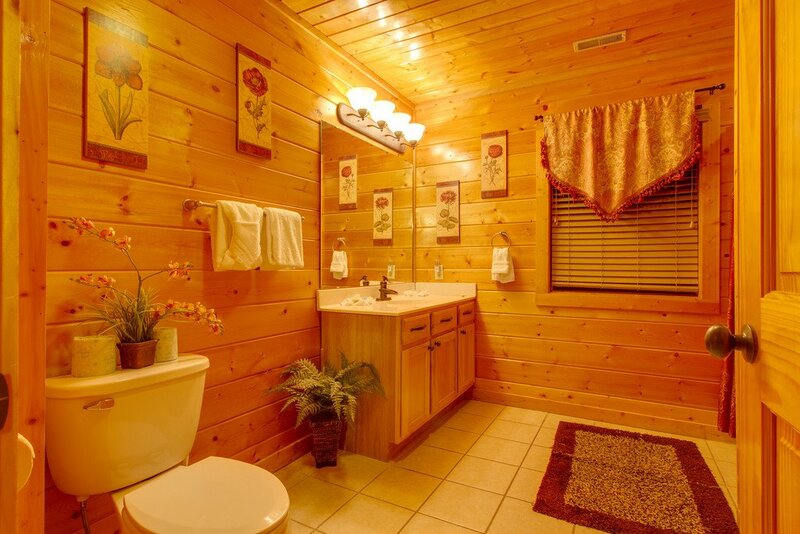 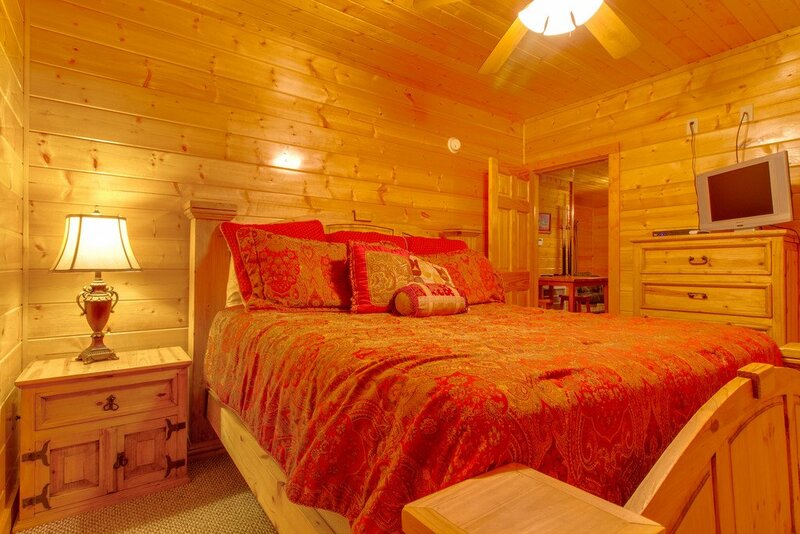 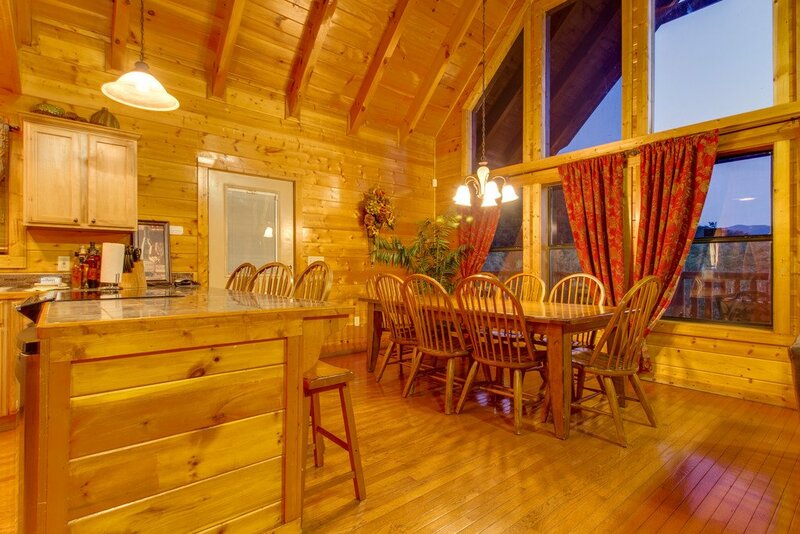 This inviting cabin is located on the peaceful side of the Smokies in Townsend just outside of Pigeon Forge. 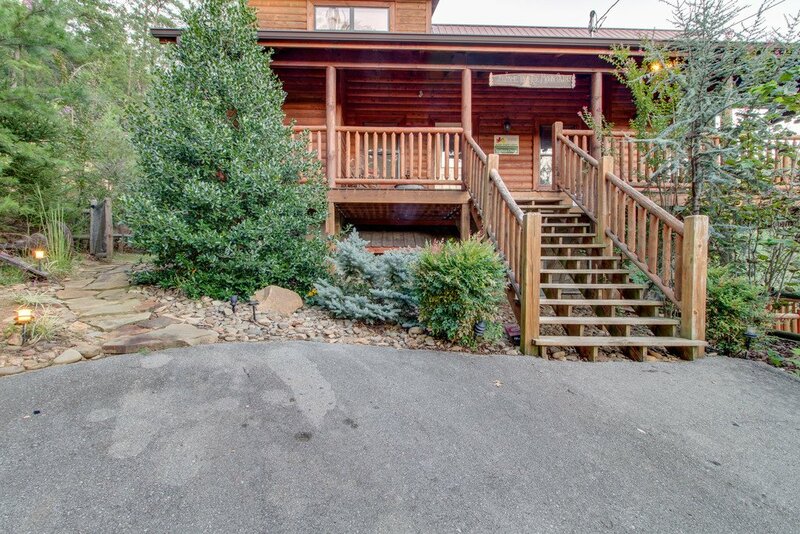 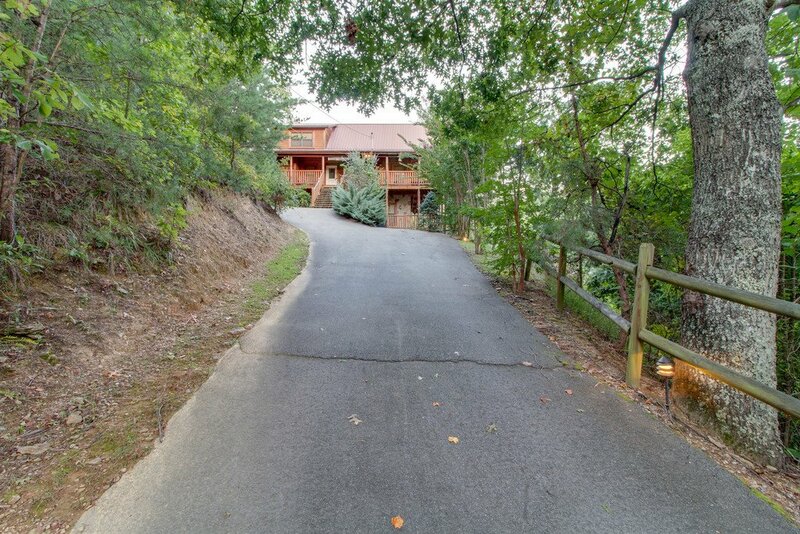 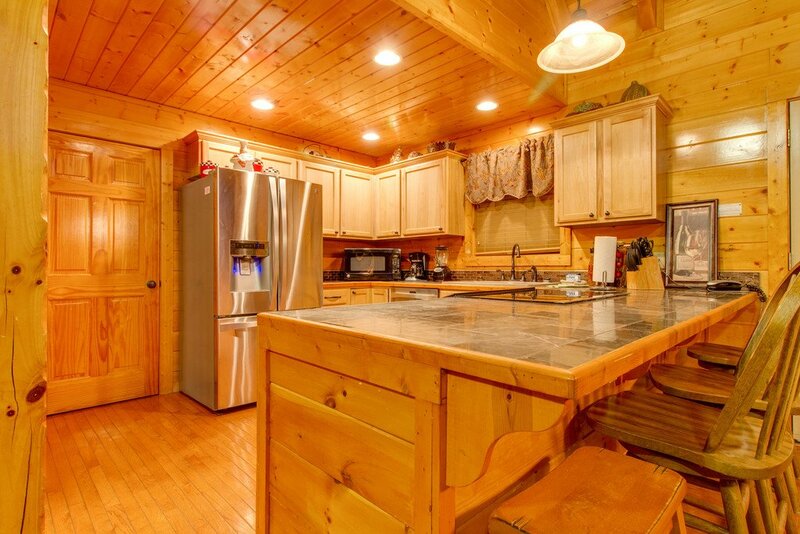 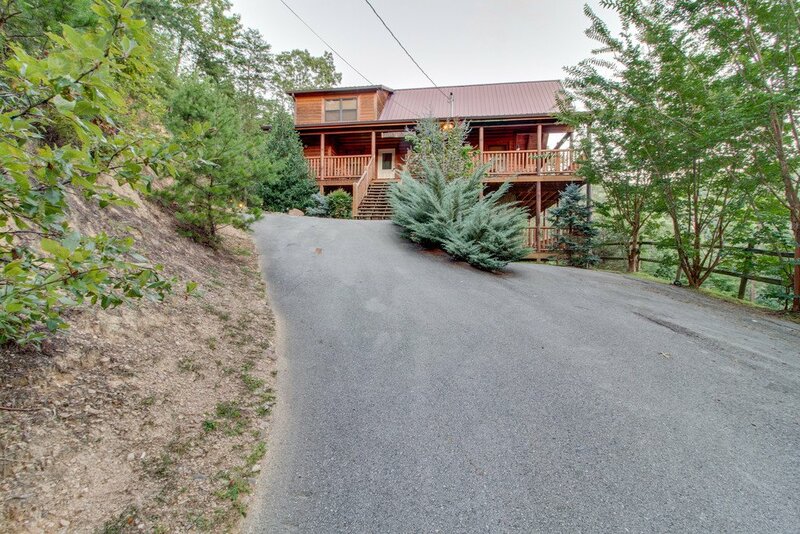 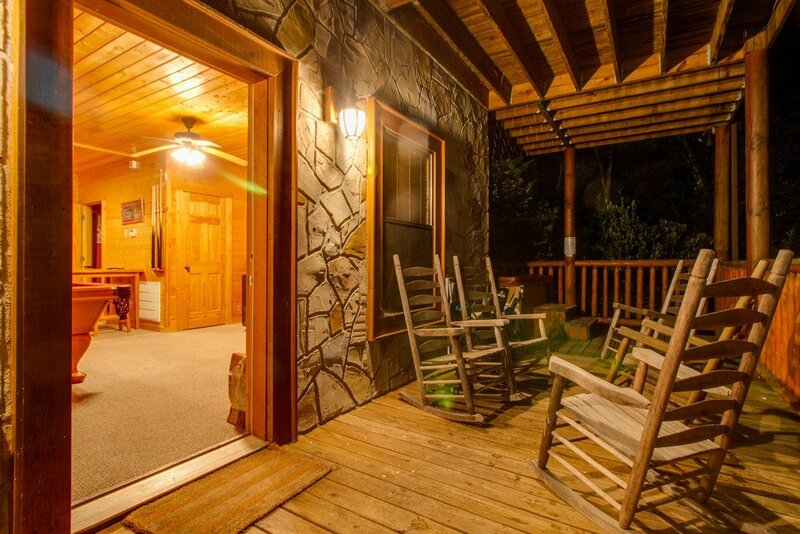 Situated on approximately 3.5 acres this spacious rental cabin allows for a peaceful environment that is only moments from the Great Smoky Mountains National Park and area attraction. 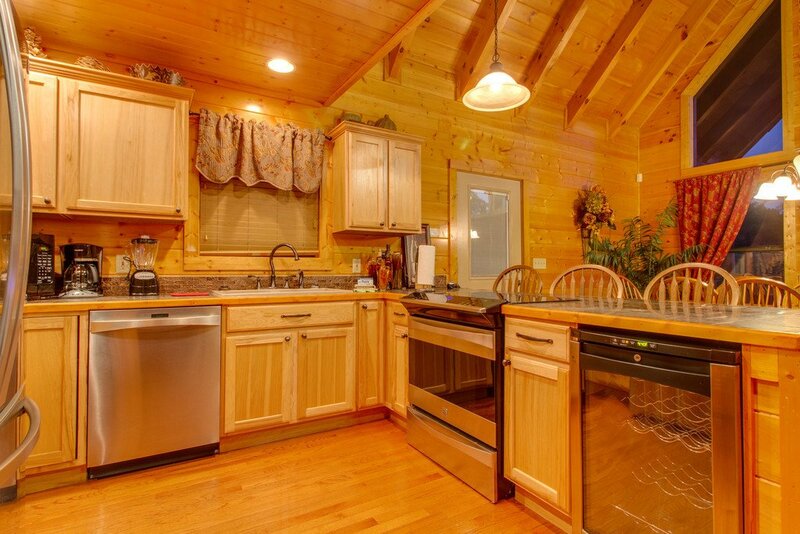 Southern Charm is a 3-bedroom, 3 ½- bathroom cabin that can comfortably accommodate 12 people. 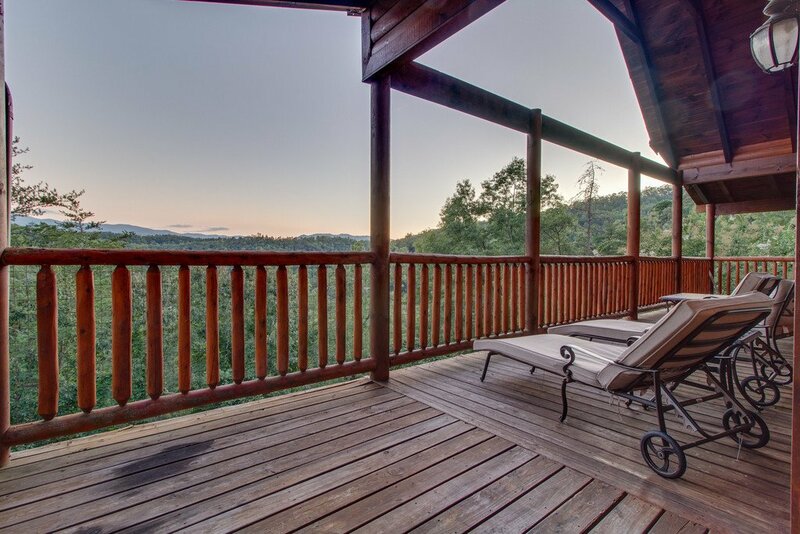 Delight in the expansive wrap-around porches with majestic views of the mountains. 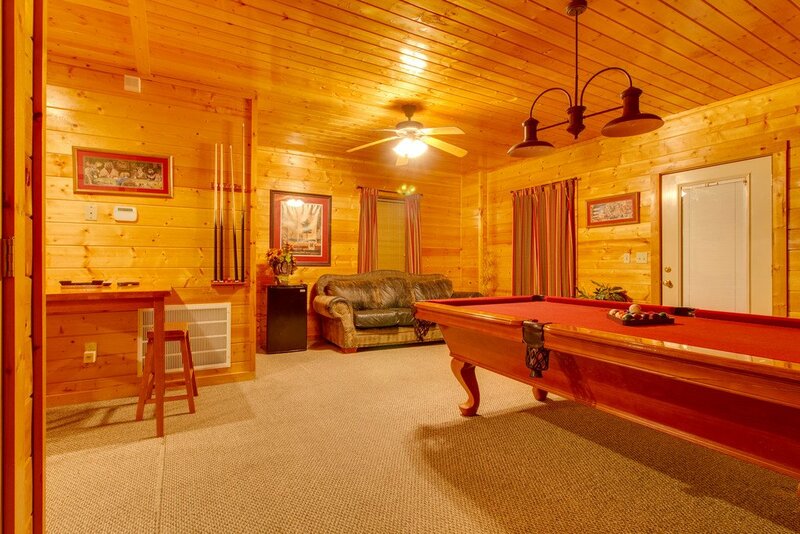 Enjoy all of the comforts of home with 5 TV’s and cable. 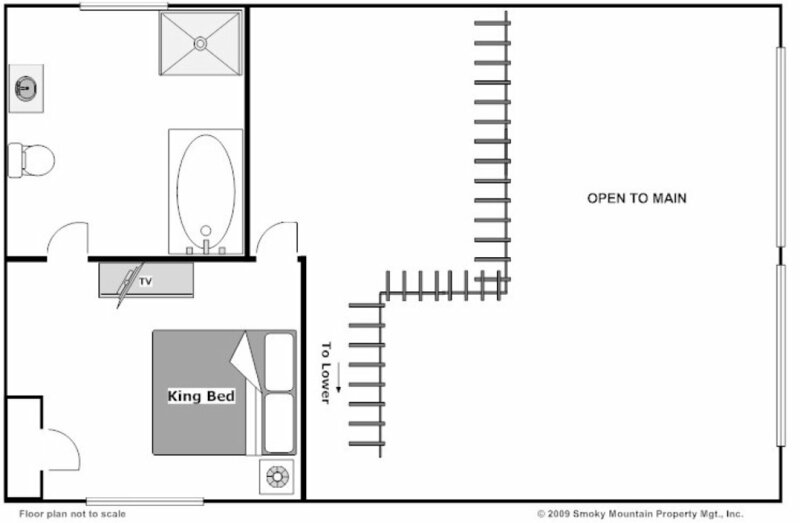 The entry level offers a full kitchen with modern stainless steel appliances including a wine fridge. 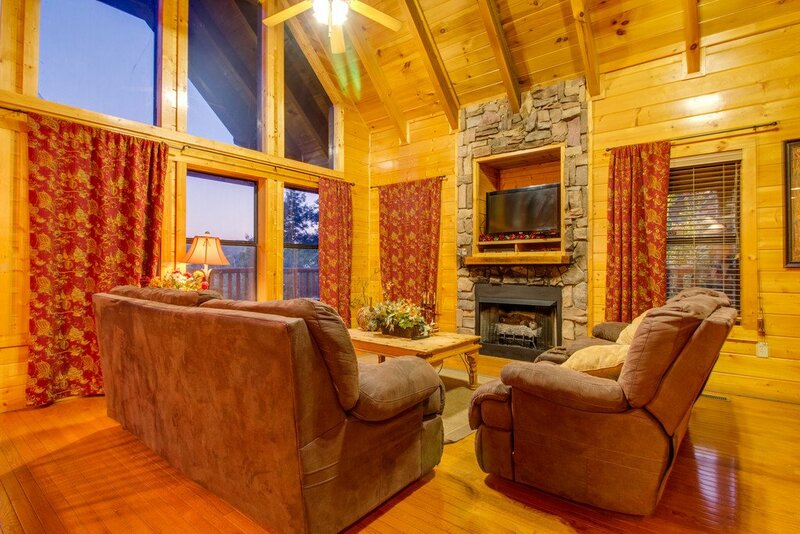 Unwind while the fire radiates from the stone fireplace as you curl up on the comfortable couch and loveseat. 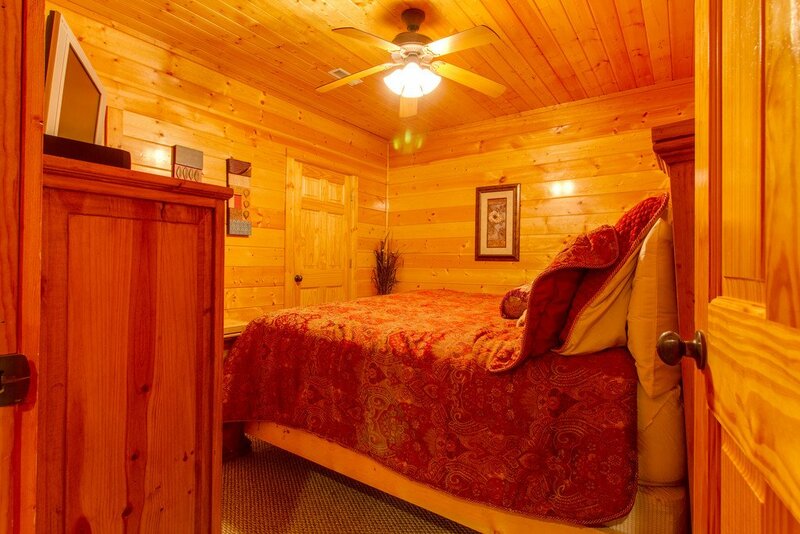 Retreat to the master bedroom where extravagance awaits. 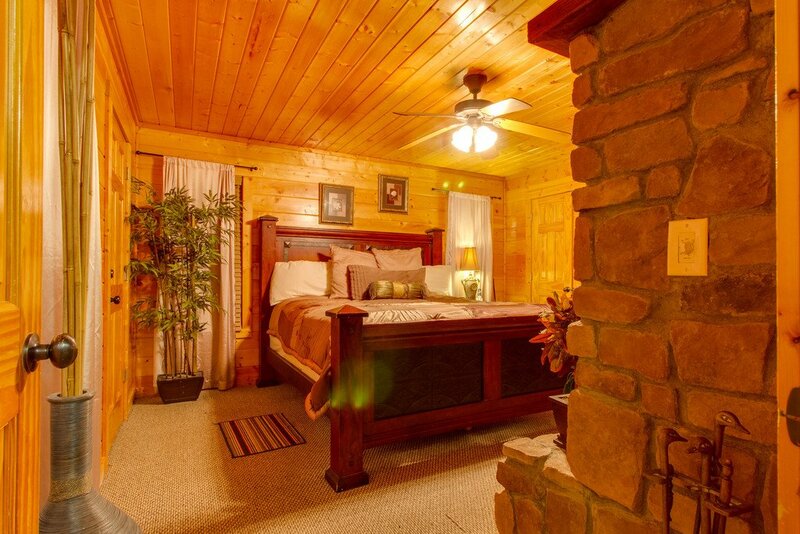 Enjoy a private fireplace at the foot of the king-sized bed. 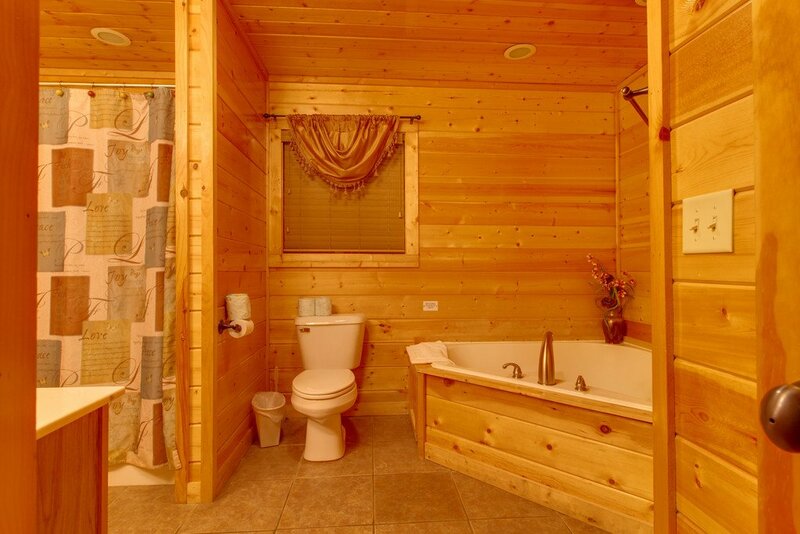 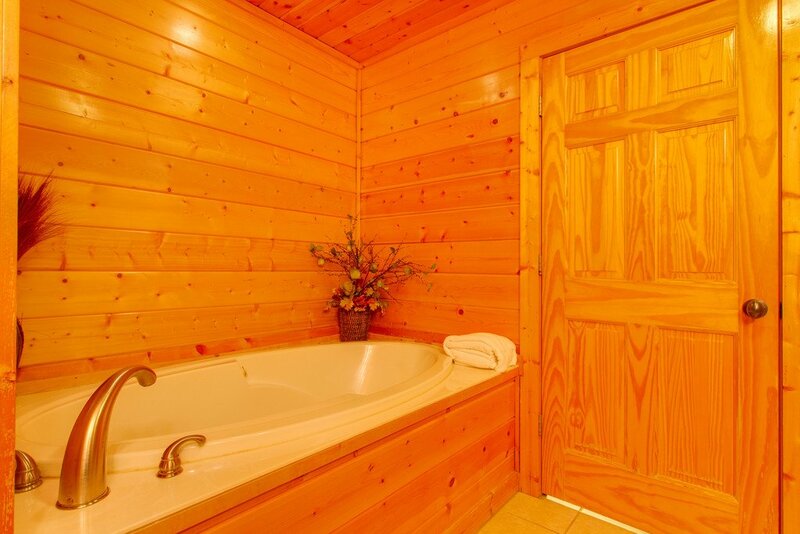 Steep yourself in the jetted tub in the full private bathroom. 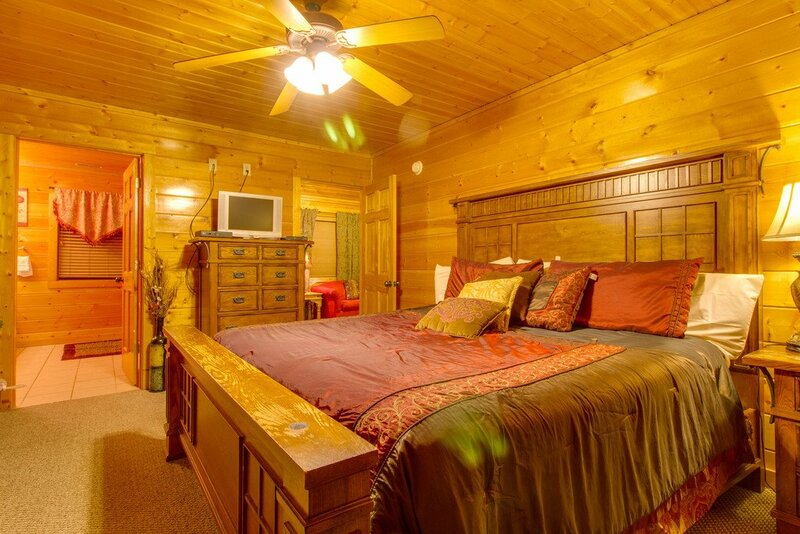 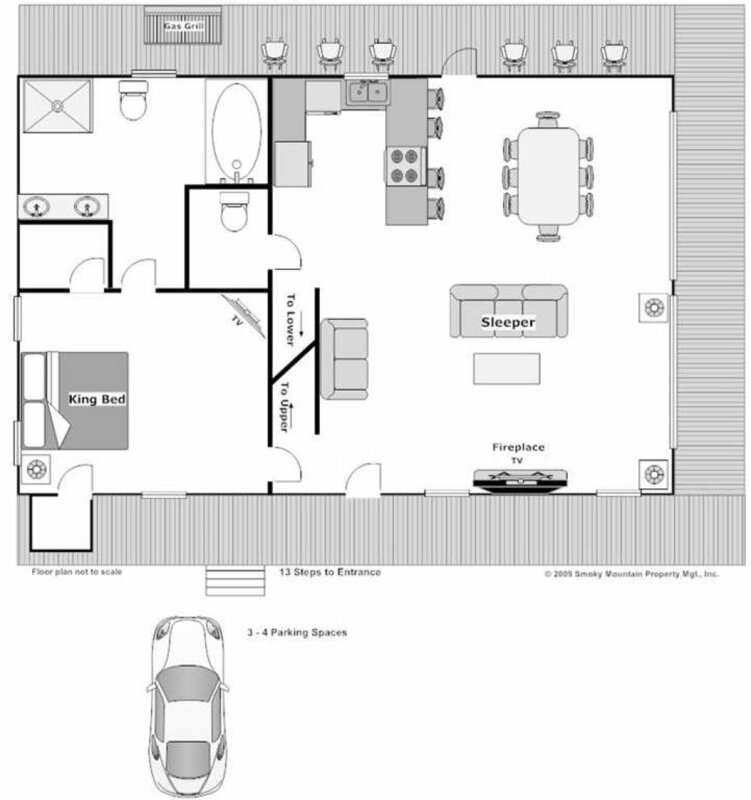 A king-sized bedroom is in the loft along with a sitting area with a sleeper sofa and a full bathroom with a jetted tub. 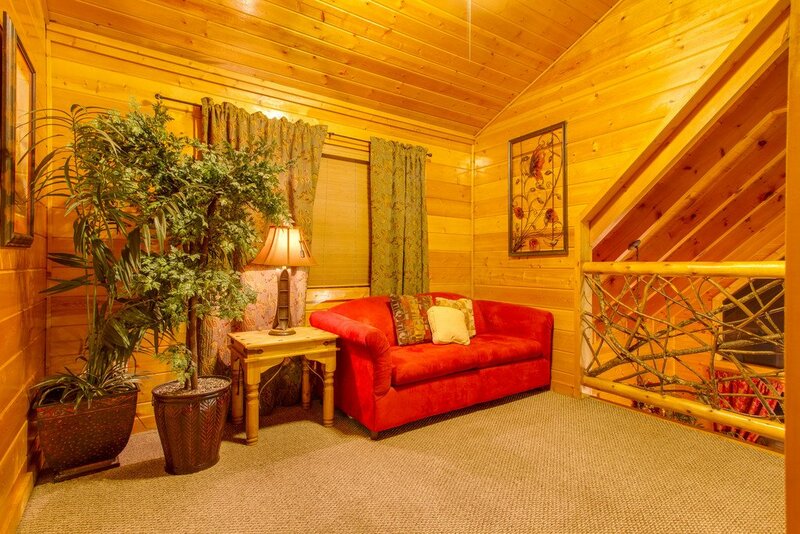 Down in the lower level is where you’ll find entertainment. 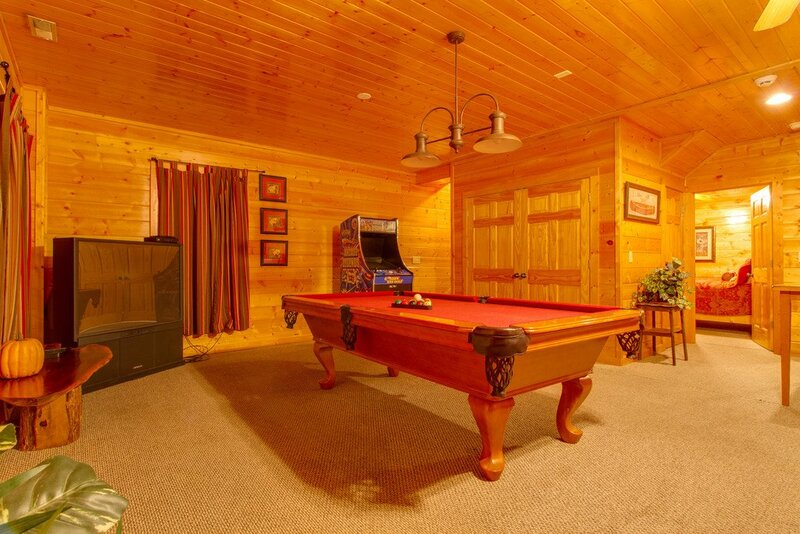 Play a game of pool, challenge the arcade game or play a game of cards around the game table. 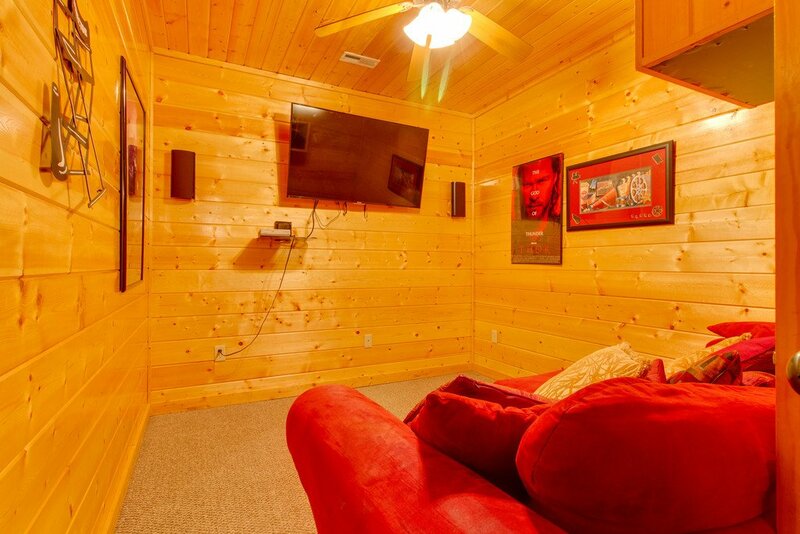 Bring along your favorite dvd’s to watch in the theater room with surround sound. 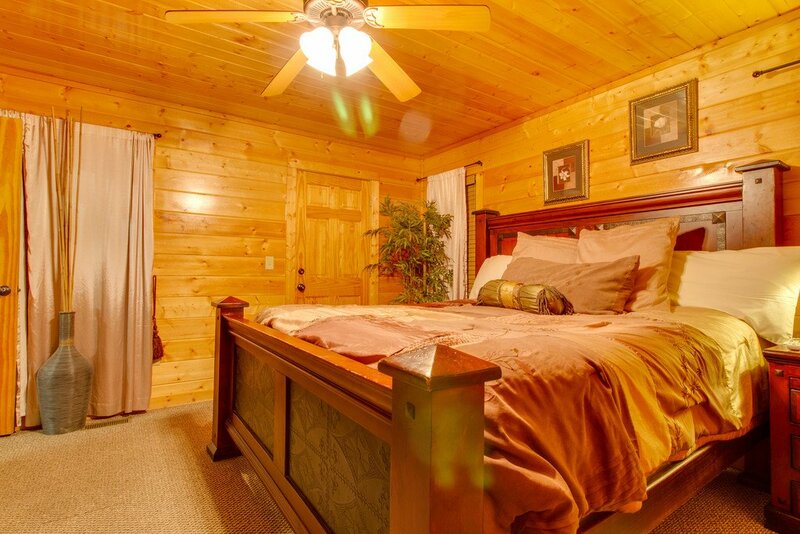 This level has a king-sized bedroom that also features a full bathroom . 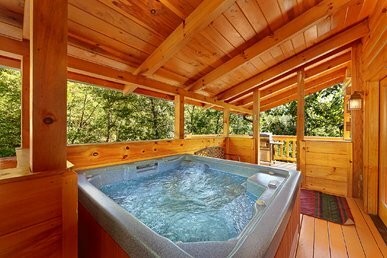 The two sprawling wrap around porches offer amazing views while soaking in the private hot tub, rocking without a care on the porch rocking chairs and easy access to the rolling green spaces surrounding Southern Charm. 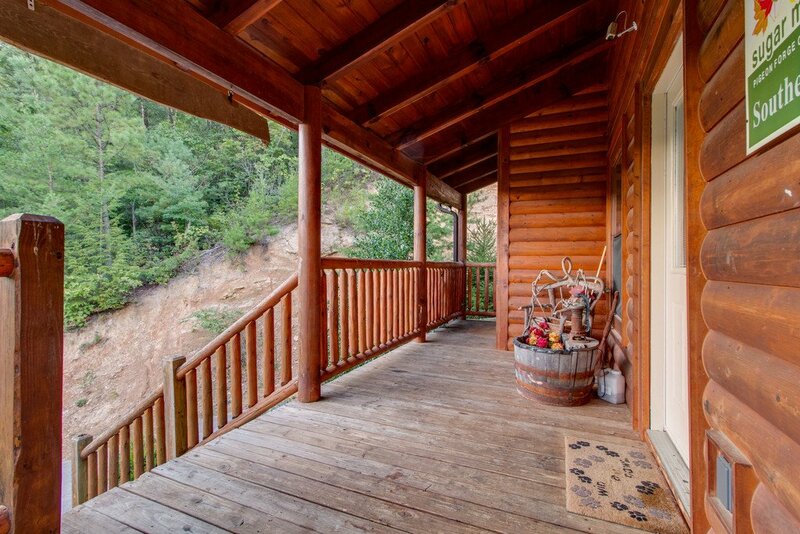 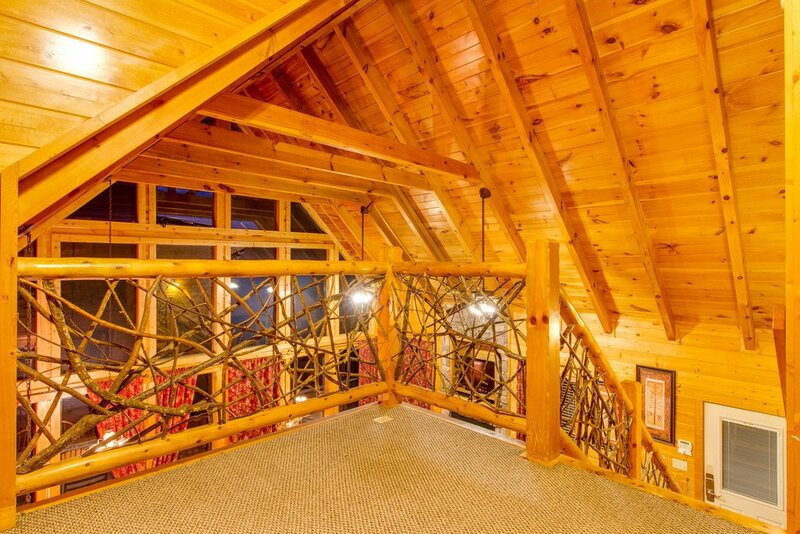 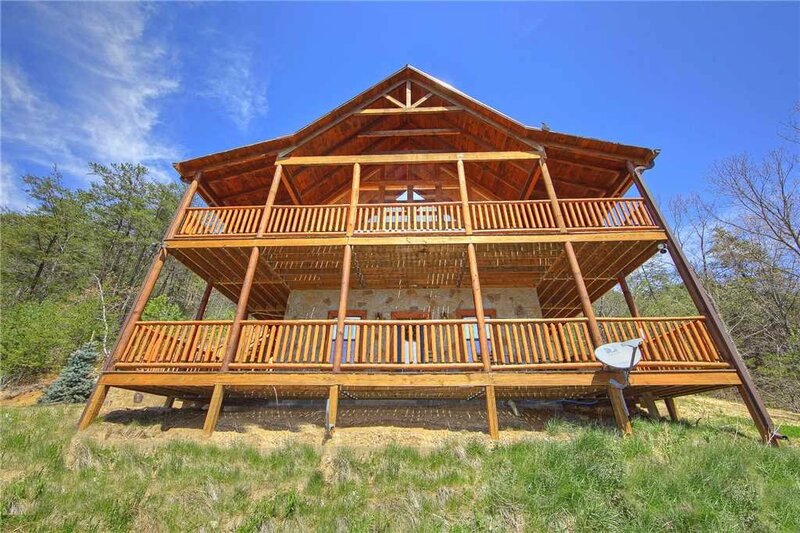 With its picturesque views and unbeatable amenities, this gorgeous and centrally located vacation cabin is perfect for a getaway to the mountains! 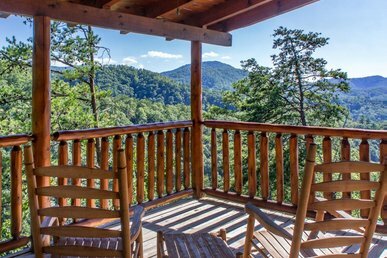 Southern Charm puts you just minutes from the nearest national park entrance, Cades Cove and the charming town of Townsend. 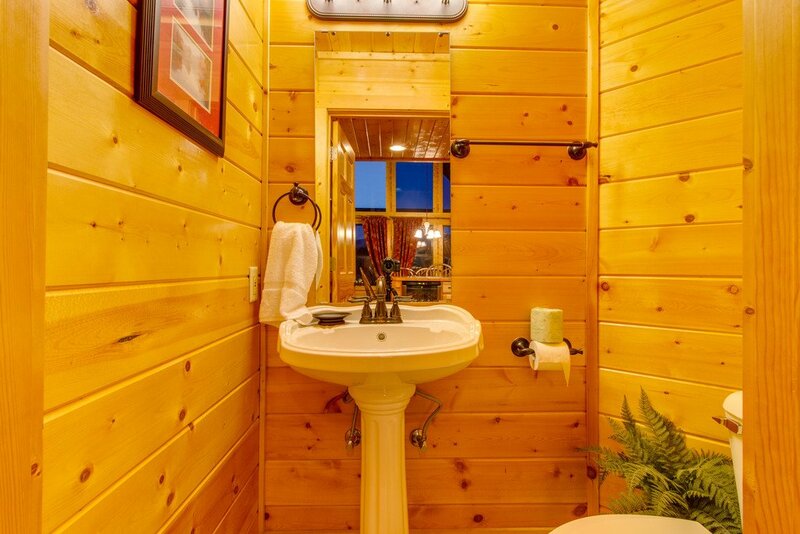 Learn about the heritage of the area with a visit to Little River Railroad & Lumber Company Museum where the histories of the company and the people are preserved. 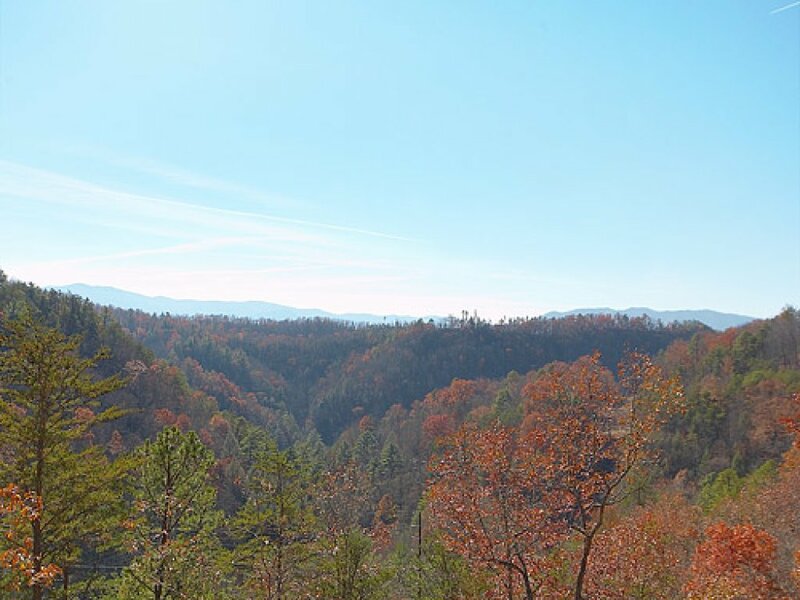 Auto tour through Cades Cove to catch a glimpse of the yesterdays, then strike out for a hike along the Abram Falls Trail, a five mile roundtrip trail leading to the 20-foot-high Abrams Falls. 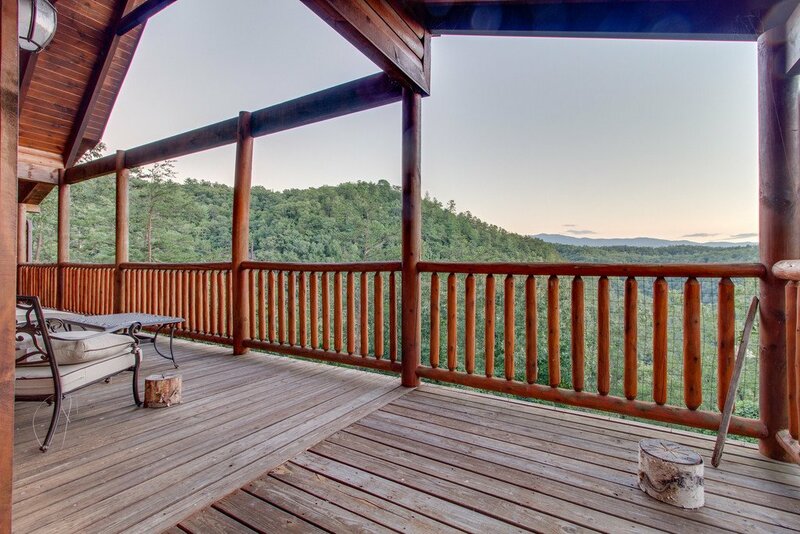 It’s a short drive from Southern Charm to Pigeon Forge and Sevierville for a day full of shopping and attractions. 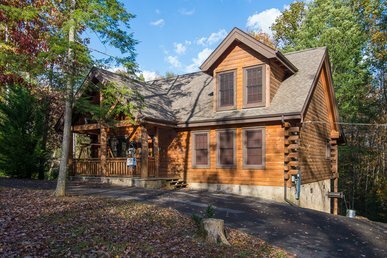 Stop in to The Old Mill Square for hand-crafted candy and gifts; take a stroll through Smoky Mountain Knife Works, offering the world’s largest selection. 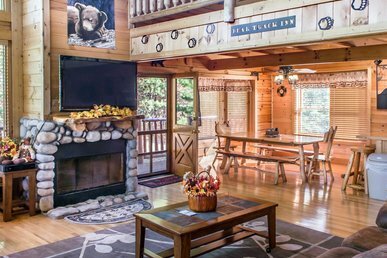 Play a game of mini-golf at Ripley’s Old McDonald’s Mini Golf featuring 54 amazing holes full of animated barnyard critters. 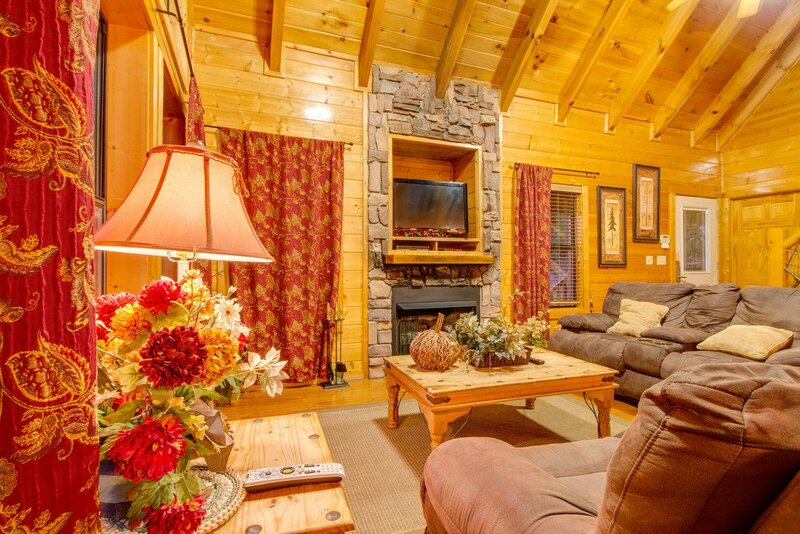 Treat yourself to a show at The Smoky Mountain Opry or Country Tonite, the biggest and best entertainment in the area. 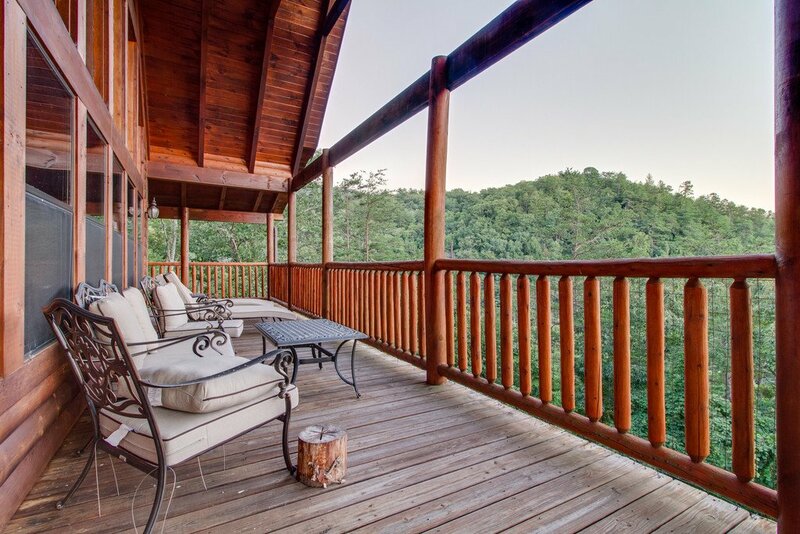 Traverse the foothills to the enchanting town of Gatlinburg. 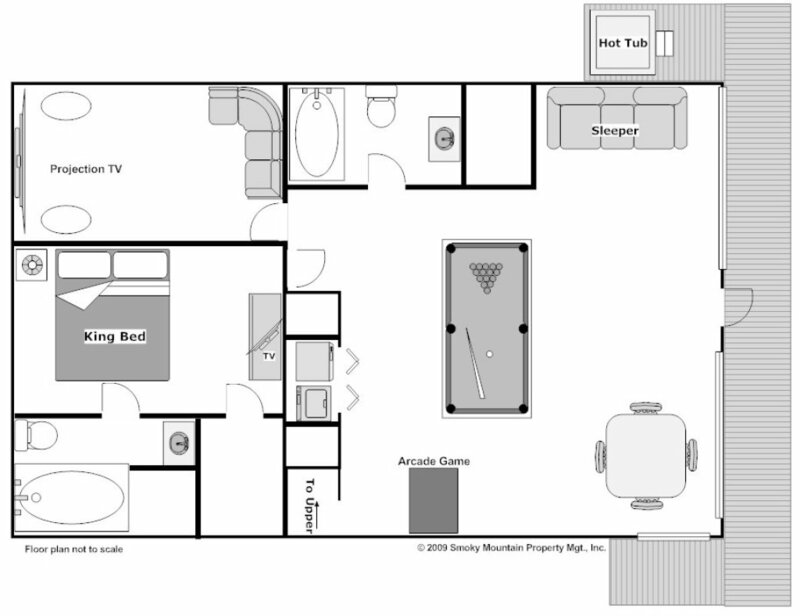 It’s easy to make a day of a visit to the downtown area with so many choices of entertainment, shopping and dining. 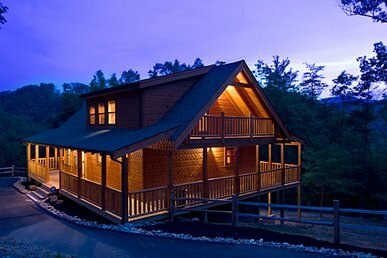 Ripley’s Aquarium of the Smokies, Believe It or Not Odditorium, Haunted Adventure or Mirror Maze, all offer thrilling entertainment. 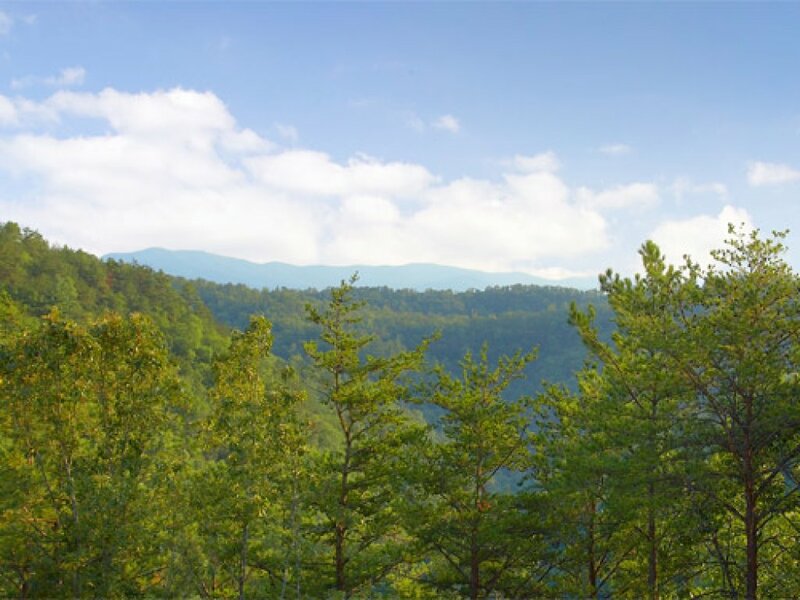 Zip through the forests down the mountainside with a trip to Gatlinburg Mountain Coaster, an exciting way to take in the nature surrounding you. 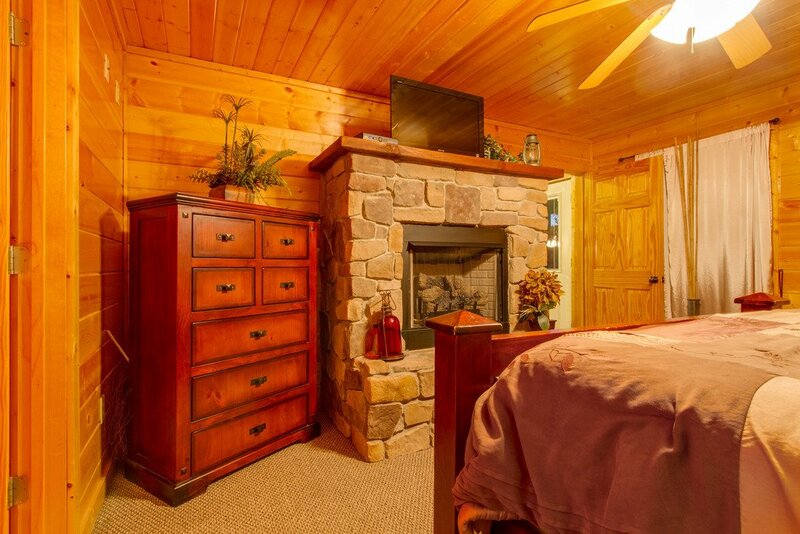 Don’t miss out on the Great Smoky Arts and Crafts Trail for unique hand-crafted Smoky mountain artistry just a few miles away from the downtown area.